TUESDAY, Nov. 17, 2015 (HealthDay News) -- A number of obstacles prevent heart failure patients from getting enough exercise, a new study has found. Supervised aerobic workouts benefit people with heart failure. But a lack of social support and barriers -- such as child care -- means that many patients don't get the recommended amount of exercise, researchers found. The study was published Nov. 17 in the journal Circulation: Heart Failure. "Patients, family members, and healthcare providers should work together to find solutions to the barriers preventing a patient from participating in structured exercise programs, because exercise programs can help patients manage their condition," lead author Dr. Lauren Cooper, a fellow in cardiovascular diseases at the Duke University School of Medicine, said in a journal news release. Heart failure means the heart isn't pumping blood as well as it should, causing fluid to build up in the body. Previous research found that heart failure patients who did moderate exercise had a lower risk of being hospitalized for heart failure or of dying from heart disease. "Competing responsibilities and lack of support may prevent patients with heart failure from participating in exercise programs," Cooper said. 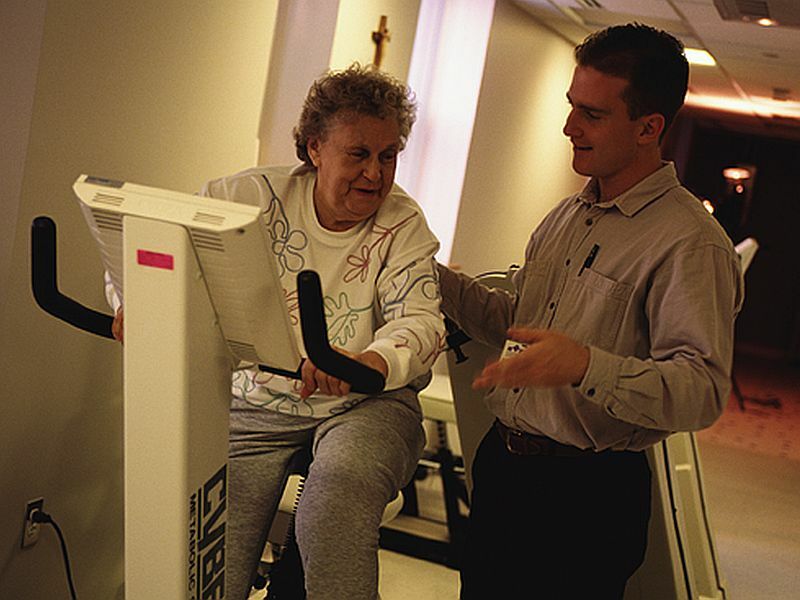 "Assessing a patient's social support system and barriers that may interfere with their exercise program may help medical professionals to customize exercise programs that better fit individual patient needs."